The insatiable need to work with my hands is the driving force of my craft. The pulse of my practice lies in the rhythm of making and through repetition the work evolves, changing slowly in response to each firing cycle. Tactile and visual consideration and slowing down are key to this process. These elements carry equal weight and are central in my working process leading up to the finished pieces. I focus on utilitarian objects that enrich the quotidian experience. My work is soda fired porcelain and stoneware clays. Ideas are generated and inspired by the everyday experience, patch-work quilts, structure and patterns found in nature as well as, historical pots. 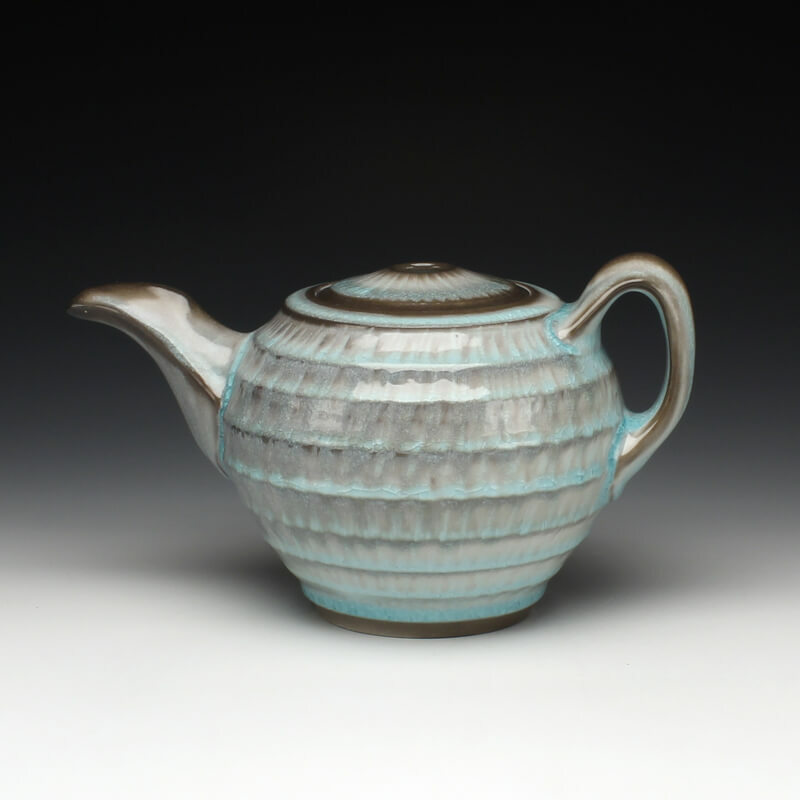 Currently I am exploring the dichotomy of vessel structure and the fluidity of glaze. Producing textured surfaces and raised lines allows a place for glaze to pool and collect and in return enriching the surface and building of depth. My hope is that the pots I make will contribute to the field of craft and elevate the everyday experience.